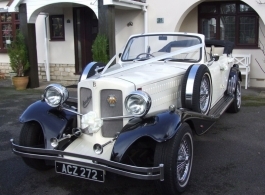 With its elegant vintage style, this 4 door Beauford wedding car is the perfect transport on your wedding day. 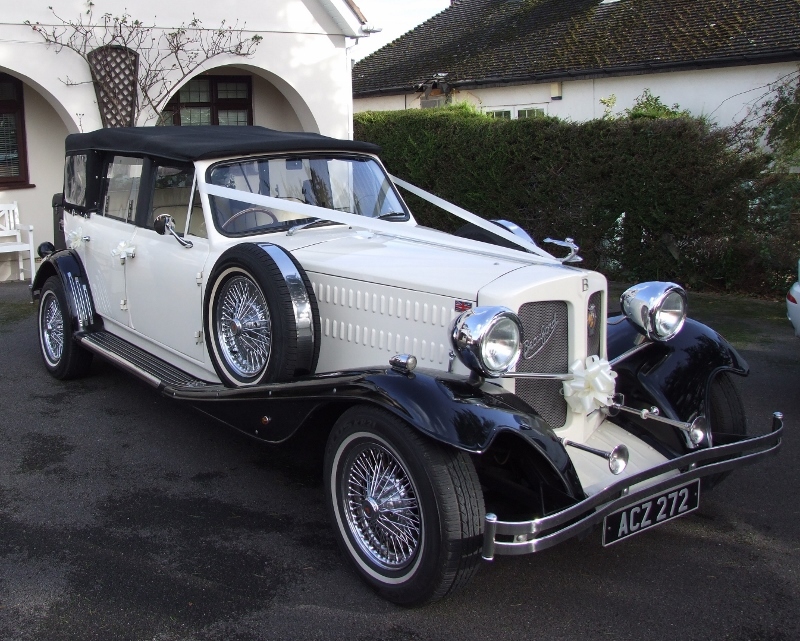 Available for wedding hire in Berkshire and North Hampshire this stunning White Beauford will be sure to turn heads as you arrive at your wedding venue. 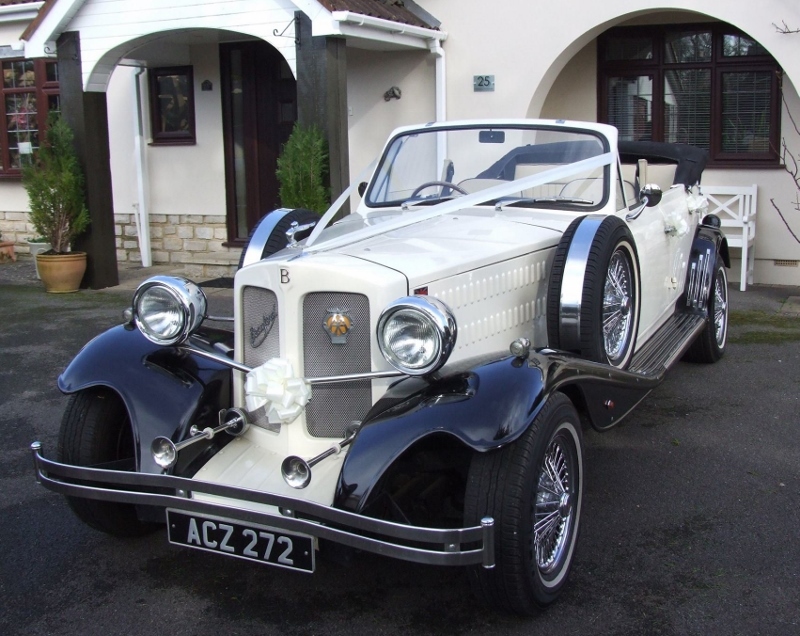 It has a convertible hood which can be pulled all the way back making this ideal for your wedding photographs. Most brides prefer to have the hood up on the way to the church or venue to protect their hair from the wind. 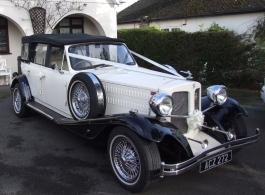 Once you are inside getting married your chauffeur can remove the hood. Please be advised the car is supplied with bows, ribbons, flowers, water, tissues, umbrellas, biscuits, a vanity mirror, a suited Chauffeur, & complementary bubbly as all part of the package price.